I promised to make updates on the dogscooting, and I will do those updates. 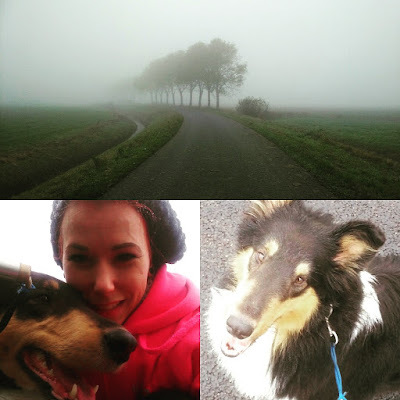 Yesterday I went for a ride with Judy, the wheater was extreme foggy so it was cold due to high humidity. But we made it, and we beat our own time and had a new personal record!!! Judy and I can now make 4,8 km's in 24 minutes, and when we started this journey we where 4 minutes slower than our new time. So I think it is now time that we increase our distance.